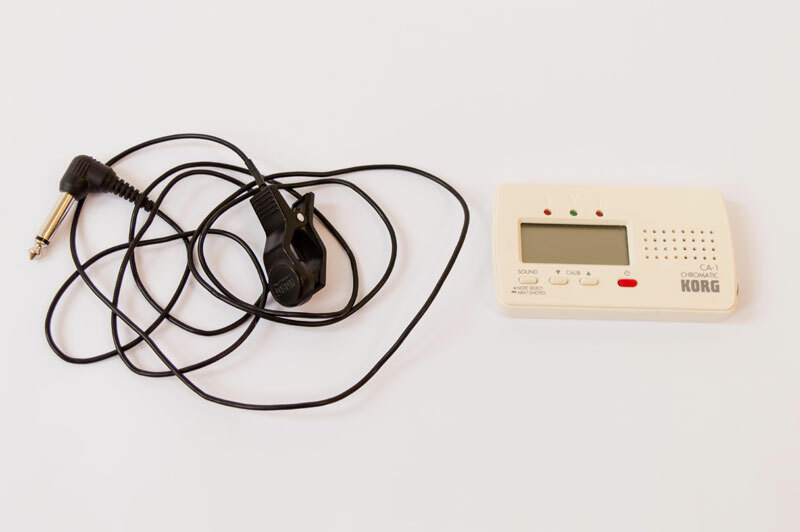 Here are two simple text and picture guides which takes you through the process of tuning a harp by ear with piano, and with the aid of a digital tuning meter. Or you can simply watch Allan taking you through the process using the video on the right! If you are interested in semitone lever positions for various keys there is a handy chart at the bottom of this page. In order to tune the harp in the key of E flat, simply follow the diagram for the notes required. Make sure that all the levers are in the ‘off’ position (i.e. clear of the strings). Whilst positioned behind the harp (i.e. standing where you would play it), turn the top of key away from you to sharpen (raise the pitch of) the note, towards you to flatten (lower the pitch of) it. Tune it until the note on the piano and the harp are the same. Repeat for the other notes, being sure to tune to a scale of Eb major/C minor (i.e. including the black notes Bb, Ab and Eb instead of the white keys for these notes). Begin by going up from middle C to the top of the harp, then go down from middle C to the bottom of the harp. This helps to keep the tension even. 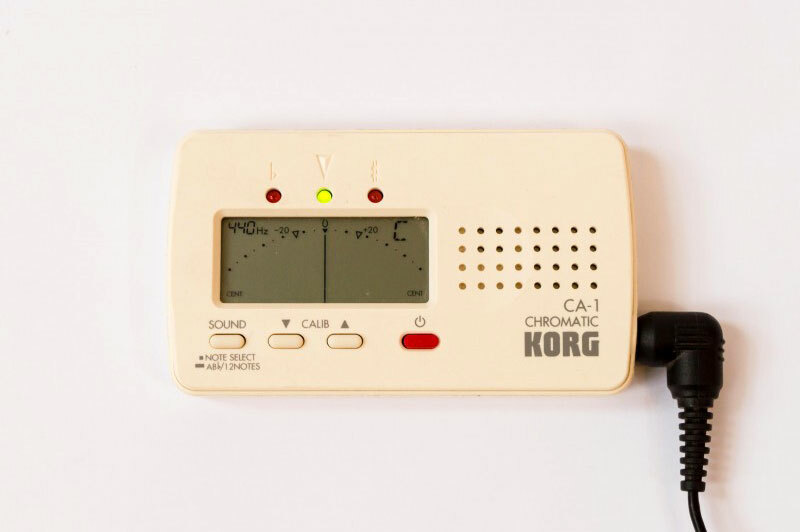 This method uses a digital tuning meter to display the nature of the note being tuned (i.e. sharp, flat or natural). 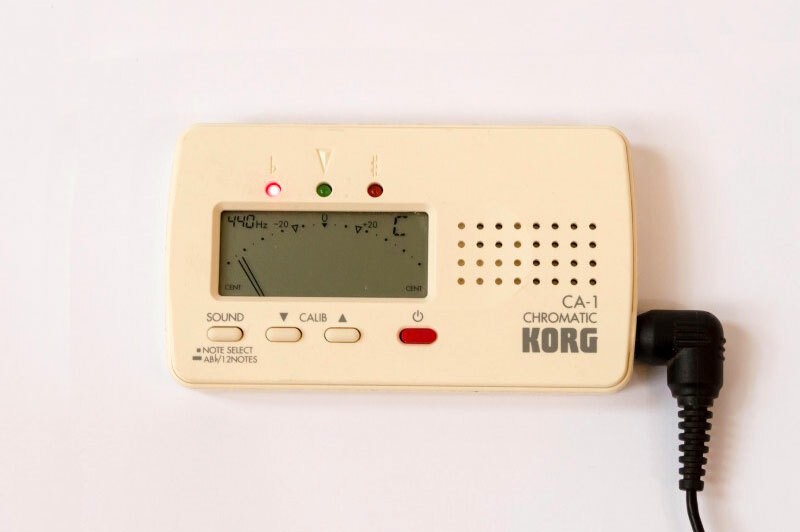 This is the Korg digital tuner with a clip-on contact microphone. 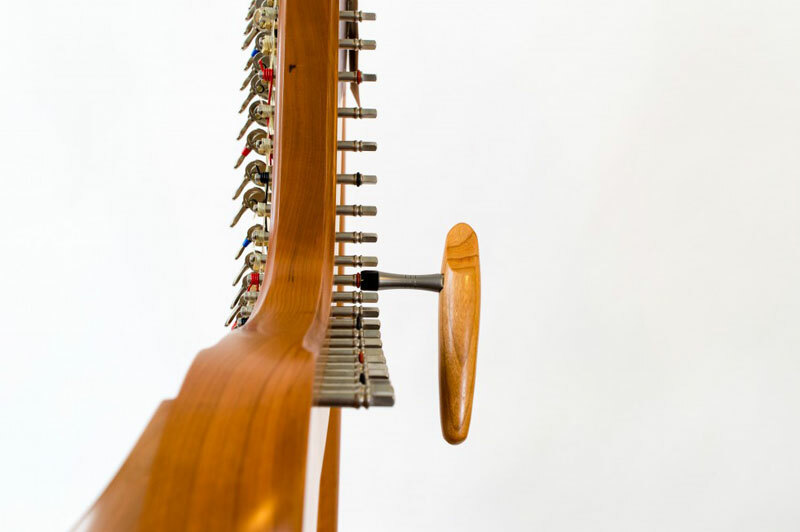 This picture shows the best method of storing the contact microphone: always detach from the tuner when not in use and loosely wind the lead. 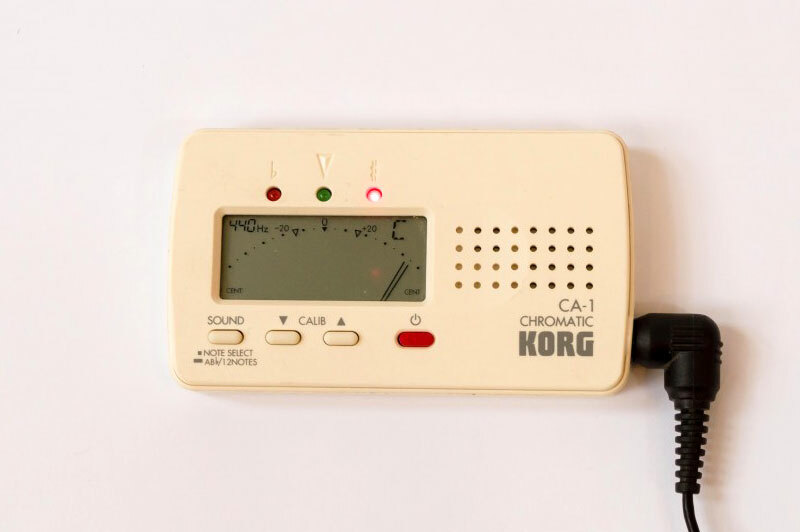 Turn on the tuner and clip the contact mic onto the opening on the back of the sound box that is nearest to the strings you are going to tune. Put the tuning key onto the tuning pin for the string you wish to tune. It is easiest if you have the tuner on a music stand, the tuning key in your right hand and use your left to pluck the string. This sounds complicated, but give it a go and you will soon pick it up. With the tuning key in your right hand: if you push you thumb towards the floor (i.e. turning the pin away from you) the pitch of the string will increase. If you turn your hand the other way – thumb turning to point back at yourself, you will decrease the pitch of the string by slackening it. 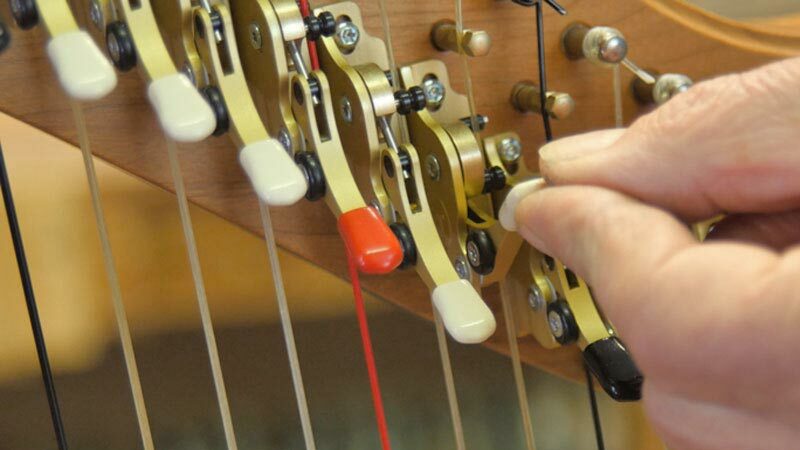 Tune the harp string until the needle or the green LED stabilises on the centre position. The screen should show which particular note you are tuning. It’s a good idea to start beneath the note (i.e. flat) and wind to the centre position of the tuning meter display as sometimes if you go above the note the string will eventually wind down and settle slightly flatter than intended. Check that the meter is set to 440 Hz. The meter is reading the note as flat (and the red ‘flat’ LED is lit). The meter is reading the note as sharp (and the red ‘sharp’ LED is lit). The string is tuned to perfectly natural (and the green ‘natural’ LED is lit). What about tuning in different keys? Although it’s possible to tune a lever harp in any key (such as C or Ab) they are normally tuned in the key of E flat (Eb). This is because by tuning to this specific key 14 other different keys are readily available making it the most versatile option. 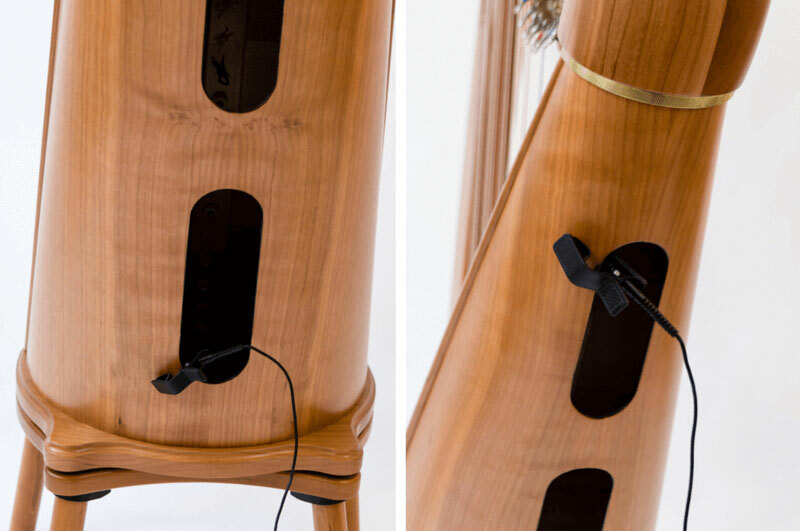 For more information about tuning a harp in E flat (Eb) click here for our handy guide.